Located on a black sand beach at the southern tip of Iceland, Hálsanefshellir Cave is a magical spot. I didn’t think this photo captured it well so I added a gloomy soundtrack to it. Hálsanefshellir Cave from Aleksandar Kolundzija on Vimeo. In 2013, over a decade after the original was released, I finished the remix of Ghost. Here it is. The original was re-released on a Goa compilation at some point and is available on Spotify. 2012 was a good year for music. My favorites are somewhat focused and moody which is probably not a coincidence but I’ve also been listening to a variety of older stuff, so don’t read too much into that. Though, I do generally like moody music. Of the bunch, the highlights are probably Lorn’s Ask the Dust, which got plenty of playtime since release, and The Invisible’s Rispah, a very different but equally absorbed effort. Some of the other works are perhaps easier to classify, others are almost poppy, with the exception of Dadub and Dino Sabatini releases which continue to feed my obsession with Italian techno. Here’s a playlist with the collection in no particular order (you may want to shuffle it) but I did bump up some of the ones I’d put in a short list. What started out as a simple percussive beat became a two-track release, titled Woodchuck. Centered around organic woody hits and deep, rolling synth, the Original Mix is layered with a dubby soundscape. 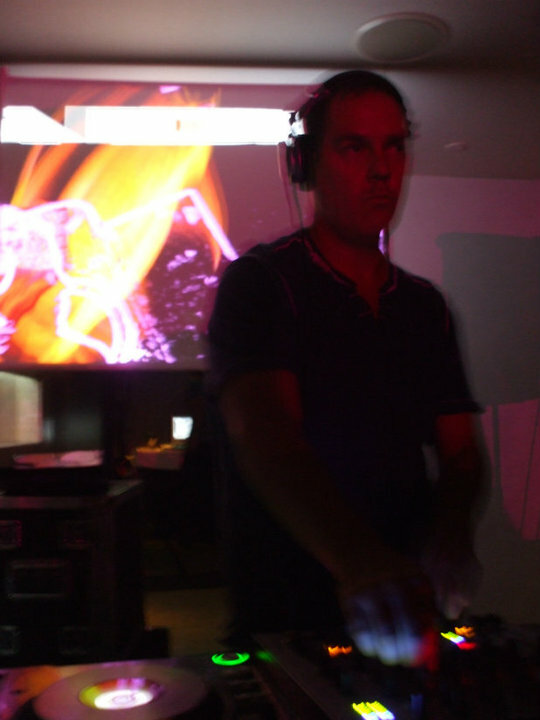 The Acid mix takes a different direction, with driving basslines taking things over. The latter also features a sample from a friend’s presentation at Adobe Max, recorded years ago. She seemed cool with me using it. Thanks, TK. Woodchuck (Acid mix) has been removed but it might reappear here in the future. Ghost re-released in 2009. Twice. I recently signed up for Spotify and couldn’t help ‘spotifying’ myself. A search for “Kill By Inches” revealed a few releases, including Down to 3hree released in 1999 with yours truly on guitars. I’m not exactly sure who gets paid for streaming that record – certainly not me or other band members – yet, I’m paying for the service. A search for “Alek Biotic” returned most of the Gotham Grooves cuts, as well as the track Dirty Yellow which had appeared on compilation CDs after the original, vinyl release on Robert Natus’ Planet Natus label. But the most interesting discovery was the 2009 re-release of Ghost (covered on Dopevector previously) which is my first ever release. Due to a typo, the artist name was “Alex Biotic” and appears that way on not one, but two 2009 re-releases of this track. The first is From Goa with Love 2, a compilation from the German Wax n Soul imprint. 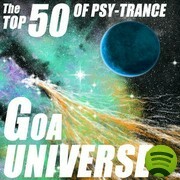 The second is Goa Universe – The Top 50 of Psychedelic Trance. I recently updated my studio setup and even found some time to produce some music. Producing on an iMac for the first time ever has been pretty sweet. After using Nuendo for years I’ve also made the switch to Ableton Live for composition and arranging. UAD-1 became a UAD-2, and I’m trying out some of the new Signature Series plugins from Waves. The first product of all this is Opek, a percussive techno track with a thick ambience and a cut-through main riff. We’re ending off the year strong with a brand new exclusive mix that we just can’t get enough of. It gets going right off the bat and just doesn’t let up. DJ GaZeLL is back with a ferocious blend of dub step, tech step, jungle for a those of us desperate for a healthy dose of thick wobbles and snare rushes, just in time to prep you for your NYE party or drive you straight into the new year. Be sure to check out DJ GaZeLL’s previous mix as well, already featured here. After years of hibernation I finally managed to piece together just enough time to complete a brand new dance track titled Eezvor, coming your way in two mix variations. While less percussive than some prior Alek Biotic works, Eezvor’s minimal techno influence is heard while its driving bass and synth lines provide enough energy for the prime time sets. 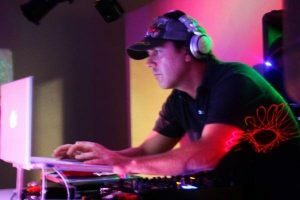 The Dark Mix provides a more focused, flatter vibe while the Original Mix reveals the melodic, source riff. Eezvor is my first completed production whose structure was created largely using Native Instruments’ Maschine. This amazing piece of kit combined with great, upgradable software is super fun to use and arrange on. Individual tracks were exported to Cubase (also a first as I’ve previously used Nuendo) where they were processed further and augmented with additional tracks, elements and effects. The final mix was mastered in WaveLab using Universal Audio, TC PowerCore and Waves plugins. Eezvor is currently shopped around and hope is to have the original wav files available asap. Guest remixes are also in the works. Stay tuned. Since you really dug the last post featuring Joe Bond’s Continental Breakfast, we’re really psyched to present Joe’s follow up effort: Woosa. Yes, that’s right – another exclusive track, with the machines still red hot from it. Tech-house fans will hear lots to like here as Woosa is one of those fresh jams that sets a very cool mood in a set and opens a door to a completely new direction. Personally, I’m a huge fan of such versatile tracks and will definitely look to feature Woosa in a set. You up for it? Woosa up!? I’ve known Joe for over a decade and have seen him rock the crowd endless times, yet he was inconspicuously absent from this blog. Well, we’ll fix that up right now with this slick tech-house jam, still hot from Joe’s oven. Continental Breakfast comes at you like a cool breeze and before you know it its just blowing your mind. Uniquely capable of fitting into any set, at any point of the night or day, Continental Breakfast is just delicious. Go ahead, take a bite.